"If I have the gift of prophecy and can fathom all mysteries and all knowledge, and if I have a faith that can move mountains, but do not have love, I am nothing. "If I give all I possess to the poor and give over my body to hardship that I may boast, but do not have love, I gain nothing. "It does not dishonor others, it is not self-seeking, it is not easily angered, it keeps no record of wrongs. "It always protects, always trusts, always hopes, always perseveres. How do we accomplish doing the right thing, in circumstances when the “right thing” is difficult to discern? The Bible, God’s Holy Word, offers an instruction manual for living life according to His design. Ah, but our very humanity make things complicated—doesn’t it? Pride, impatience, selfishness, jealousy, anger—most of us have experienced these feelings, sometimes more than one mixed up together in an ugly jumble all at once. Following Jesus means taking the high road and striving to rise above our lesser nature. When life feels complicated and it is challenging to move beyond the noise of our emotions, God’s word is clear: turn to love. Somebody else got the promotion you deserve? Ask God to show you how to love your job and show your boss and colleagues His love. Your sister criticized your _______ (cooking, hair, parenting, husband)? Show her love at every turn. Her challenge to show you love does not have to be your challenge. Pray for God to surround her with the love her heart needs. Is sibling rivalry at an all-time high at your house? Jesus loves each of us, his own precious children, through every difficult stage; ask Him to help you love your children through this challenging phase, and to bless you with an abundance of patience. The Bible is filled with God’s promises for us. One of my favorites: Love. Never. Fails. I like to think of messages like this as valentines from our Heavenly Father. 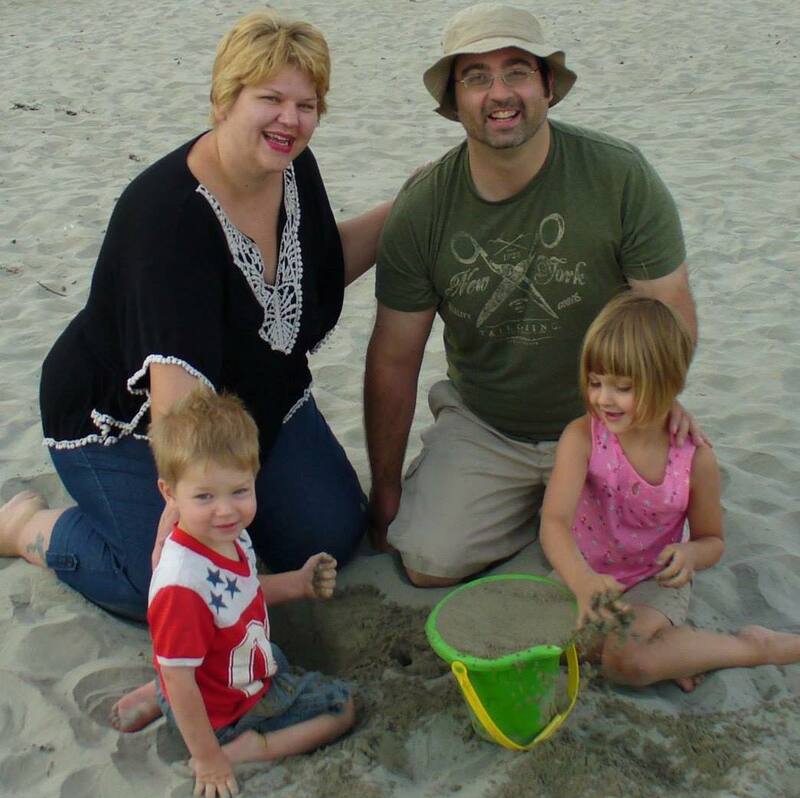 A loving reminder that we don’t have to be perfect (phew! ), because God is love — and love? Never fails. P.S. 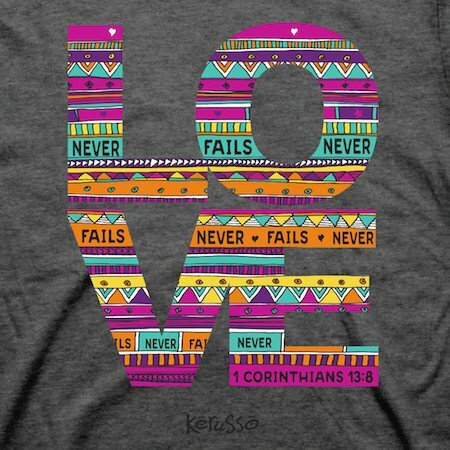 We made a rad, Love Never Fails tee out of that image up top! See that one and a ton of other great Valentine's Gifts here!